"Berenberg" redirects here. For the banking family, see Berenberg family. For other uses, see Berenberg (disambiguation). Joh. Berenberg, Gossler & Co.
Joh. Berenberg, Gossler & Co. KG, commonly known as Berenberg Bank and branded as Berenberg, is a Hamburg-based multinational investment banking and private banking company, founded by the Belgian-origined Berenberg family in 1590. It is the world's second oldest bank and the oldest merchant bank. Its owners, the Berenberg and Gossler families, belonged to the ruling elite of Hanseatic merchants of the city-republic of Hamburg and several family members served in the city-state's government from 1735. Berenberg is active in investment banking, particularly pan-European equity research, brokerage and capital markets transactions, in addition to private banking for wealthy customers and institutional asset management. Berenberg has around 1,500 employees; in addition to its headquarters in Hamburg, it has a significant presence in London, Zurich and Frankfurt, and 14 further offices in Europe, the Americas and Asia. The bank is organized as a limited partnership with personally liable partners, and is noted for its conservative business strategy. Following the 2000s financial crisis, the bank has grown rapidly. The current senior partner and head of the bank Hans-Walter Peters is also President of the Association of German Banks. 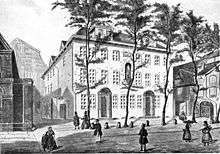 The Berenberg Company was founded in Hamburg in 1590 by the brothers Hans (1561–1626) and Paul Berenberg (1566–1645). In 1585, the Protestant Berenbergs left Antwerp in today's Belgium, at the time one of Europe's commercial centres, as Protestants in the Low Countries were given the choice either to convert to Catholicism or leave the country. The bank has been continuously owned by their descendants ever since. The Berenbergs were originally cloth merchants and quickly extended their business to other commodities. Hans Berenberg's grandson Cornelius Berenberg (1634–1711) was the first to engage in merchant banking and developed the company into a very successful merchant house and merchant bank. 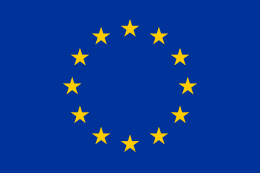 He forged trade links with France, Spain, Portugal, Italy, Scandinavia and Russia. Family connections of the Berenbergs were instrumental to the development, especially in Livorno and Lisbon with their colonies of wealthy Dutch merchants. Cornelius Berenberg's son, Rudolf Berenberg (1680–1746), was elected a Senator, that is, a member of the government of the city-state, in 1735. By the mid 18th century, investment banking and acceptance credits comprised a significant part of the firm's activities. Rudolf Berenberg was married to Anna Elisabeth Amsinck (1690–1748), a daughter of the Lisbon and Hamburg merchant Paul Amsinck (1649–1706) and a descendant of the Welser family. Their sons, Senator Paul Berenberg (1716–1768) and Johann Berenberg (1718–1772), became owners of the Berenberg company. 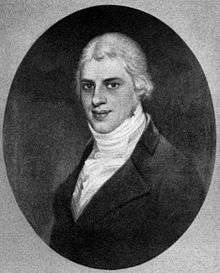 In 1768 Senator Paul Berenberg died childless, while his brother Johann Berenberg lost his only son in the same year. To ensure the continuation of the firm, Johann Berenberg took on his son-in-law Johann Hinrich Gossler (1738–90) as a new partner in 1769; he had married Berenberg's only daughter Elisabeth Berenberg (1749–1822) the previous year. The Gossler family is known since the 17th century, when Johann Hinrich Gossler's great-grandfather was a Hamburg burgher. 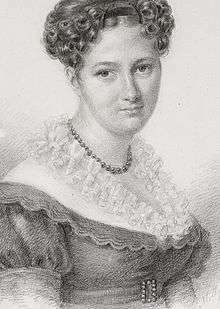 Elisabeth Berenberg was the last member of the Hamburg Berenberg family, which became extinct in the male line upon her death in 1822. Johann Hinrich Gossler and Elisabeth Berenberg were the founders of the Berenberg-Gossler family, that rose to great prominence in 19th century Hamburg. 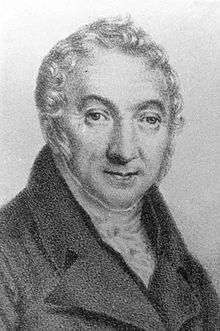 In 1788 Johann Hinrich Gossler took on a new partner, his son-in-law L.E. Seyler (1758–1836), who had married his eldest daughter Anna Henriette Gossler (1771–1836). From 1790, the company was led by L.E. 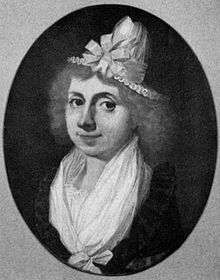 Seyler, and his mother-in-law Elisabeth Berenberg was a partner in her own right from 1790 to 1800. L.E. Seyler was one of Hamburg's foremost merchants in his lifetime, and served as President of the Commerz-Deputation and as a member of the Hamburg Parliament. 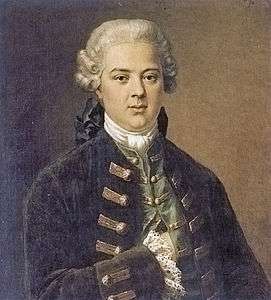 Seyler's brother-in-law Johann Heinrich Gossler (1775–1842) joined the firm in 1798 and became a Hamburg senator in 1821. Under Seyler's leadership, the company name was changed to Joh. Berenberg, Gossler & Co. effective from 1 January 1791. In the company name, Joh. Berenberg refers to Johann Berenberg (1718–1772), Gossler refers to Johann Hinrich Gossler and Co. originally refers to L.E. Seyler. Johann Heinrich Gossler (II)'s son Hermann Gossler (1802–1877) was a senator and First Mayor of Hamburg, while his son Johann Heinrich Gossler (III) (1805–1879) continued the firm. Johann Heinrich Gossler (III) was the father of Baron Johann von Berenberg-Gossler (1839–1913). In 1880 the Hamburg Senate granted the family the name of Berenberg-Gossler, and in 1888, the family was ennobled in the Kingdom of Prussia as von Berenberg-Gossler. In 1910 Johann von Berenberg-Gossler was given the title Baron. Baron Johann von Berenberg-Gossler was the father of John von Berenberg-Gossler (1866–1943), a Senator and German Ambassador in Rome. In the 19th century, the bank financed the industrialisation process in Hamburg and transportation activities, and was strongly involved in the North American trade and its finance. The company was (together with the merchant house H.J. Merck & Co.) one of the main founders of Germany's largest shipping companies, the Hamburg America Line (HAPAG) in 1847 and Norddeutscher Lloyd in 1857. They were also one of the main founders of Vereinsbank Hamburg (now the HypoVereinsbank) (1857), the Ilseder Hütte ironworks (1858), and the Norddeutsche Versicherungs AG (1857). The houses of Berenberg-Gossler, H.J. Merck and Salomon Heine were also the main founders of the Norddeutsche Bank in 1856, the first joint-stock bank in northern Germany and one of the predecessors of Deutsche Bank. Furthermore, Berenberg Bank was among the founding shareholders of Bergens Privatbank (1855), the Hongkong and Shanghai Banking Corporation (1865), Den Danske Landmandsbank (1871) and Svenska Handelsbanken (1871). 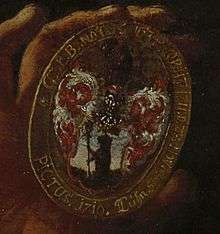 The Berenberg family and company had branches in Portugal, Italy and London from the 17th century. A branch of the Berenberg family also established the London firm Meyer & Berenberg in the 17th century and were among London's prominent West Indies merchants. In recent years Berenberg's London office in Threadneedle Street has grown rapidly to become Berenberg's second largest office, focusing on investment banking and private banking for the ultra wealthy. 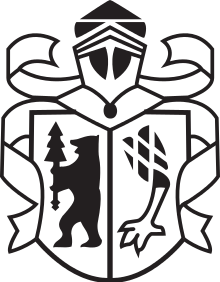 The company's logo is a stylized version of the combined coat of arms of the Berenberg and Gossler families, featuring the Berenberg bear (adopted in the 16th century in Belgium) and the Gossler goose foot (adopted in 1773 by Johann Hinrich Gossler). 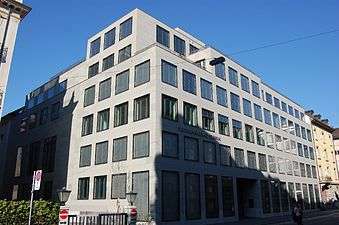 Berenberg Bank has its head office in Hamburg and has offices in Bielefeld, Bremen, Düsseldorf, Frankfurt am Main, Munich, Stuttgart, Braunschweig, London, Luxembourg, Paris, Vienna, New York, Boston, San Francisco, Chicago, Zurich, and Shanghai. Zurich moreover accommodates the subsidiary Berenberg Bank (Schweiz) AG. Together with Bankhaus Lampe, the bank additionally holds a stake in the Frankfurt-based investment company Universal Investment. 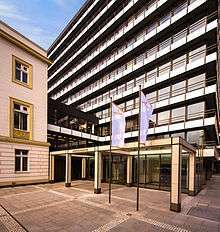 The Berenberg Bank Stiftung is a philanthropic foundation founded in 1990 on the occasion of the 400th anniversary of the establishment of Berenberg Bank. The chairman of the board is Joachim von Berenberg-Consbruch. The foundation awards several prizes, including the Berenberg Culture Prize to younger artists and the Berenberg Scholarships to individual artists and groups. 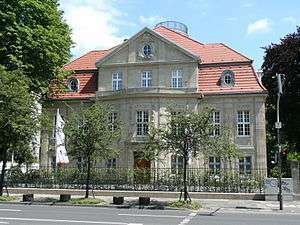 From 2009, the Universitäts-Gesellschaft Hamburg has awarded the Berenberg Prize for Scientific Language, that promotes German as a scientific language. Berenberg Bank is currently run by two personally liable partners, Hans-Walter Peters and Hendrik Riehmer. (1746–1819) 1777‒1819 Joined Berenberg as an accountant and later became a partner. 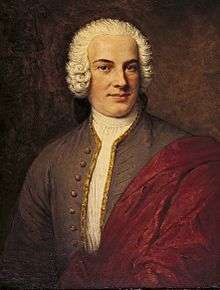 He was married to Johann Hinrich Gossler's younger sister Margaretha Katharina Gossler (1749–1795) and was thus the brother-in-law of Johann Hinrich Gossler and Elisabeth Berenberg, but not on the Berenberg side of the family. 39 Joachim von Berenberg-Consbruch 1978‒2005 1979–2005 He was born Joachim von Consbruch. His mother was married in her second marriage to Cornelius von Berenberg-Gossler, and he subsequently combined his stepfather's name with his own family name. ↑ "Berenberg's rapid expansion shows no sign of letting". The Financial Times. ↑ "Privatbanken profitieren von der Finanzkrise". Süddeutsche.de. ↑ "Berenberg expands UK private banking team to serve ultra wealthy". Reuters India. ↑ Berenberg Bank Stiftung Archived December 21, 2010, at the Wayback Machine. Wikimedia Commons has media related to Berenberg Bank.